SMASH INTO PIECES släpper Vinyl och turnédatum! 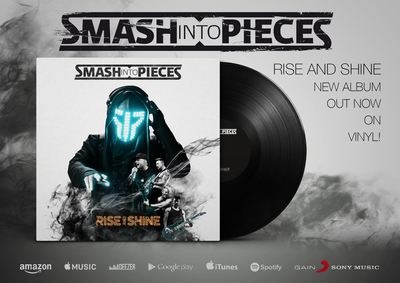 With the new album “RISE AND SHINE” recently released (27:th of jan 2017) and with the band reasently ended a major North American Tour with multi-platinum selling “AMARANTHE” Smash Into Pieces now returns to tour Scandinavia and Europe. Rise And Shine is now also available on Vinyl! It’s only been 4 months since the band finished their last European Tour and now Germany, Uk, Norway, Sweden And Denmark awaits.